Victoria, B.C. 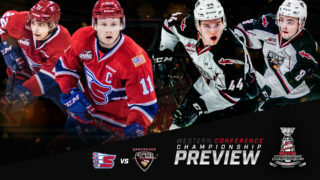 — The Spokane Chiefs scored three goals in the first period and never looked back in a 7-2 win over the Victoria Royals on Saturday night on Vancouver Island. Czech defenseman Filip Kral, in his fifth game back from an upper body injury that sidelined him for the start of the season, picked up two points including the game-winning goal. 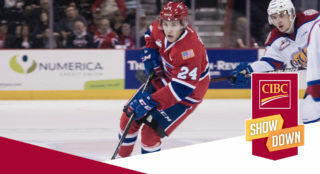 Spokane got on the board just 5:57 into the first period as overage forward Riley Woods continued his blazing scoring streak, scoring his seventh goal in five games, to make it 1-0. 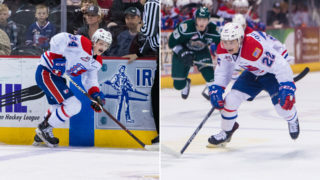 After a Victoria’s Phillip Schultz tied the game with a shorthanded breakaway score, Luke Toporowski regained the lead at 13:38 with a perfect shot on a power play. Toporowski’s goal was initially waved off but video review confirmed that the puck snuck inside the right post. 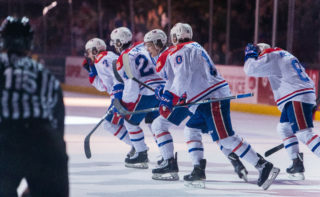 The goal marked the 12th consecutive game in which Spokane has scored with the man advantage. Spokane would lead the rest of the way and capped the first period with Kral’s first goal of the season at the 18:53 mark. The Czech defenseman snapped the puck through traffic off an assist from Ty Smith, who extended his point streak to six games with two helpers on the night. Eli Zummack punched in his seventh goal of the year only nine seconds into the middle frame to make it 4-1. The Royals made it 4-2 before rookie Egor Arbuzov found the net with a point shot to push the lead back to three. Empty net goals from Cordel Larson and Carter Chorney (shorthanded) reached the final score of 7-2. 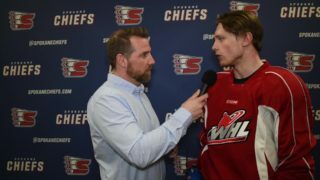 Dawson Weatherill started in goal for the Chiefs and made 30 saves on 32 shots faced to earn the win. Griffen Outhouse started for Victoria and turned away 22 shots. The Chiefs’ power play went 1-for-3 on the power play and a perfect 6-for-6 on the penalty kill. 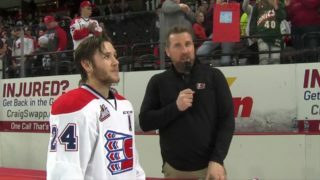 The win snapped a season-long three-game losing streak for the Chiefs and secured a split in the back-to-back games against Victoria over the weekend.